We will start by answering you:”What is Vietnamese hair?” It is the hair collected from Vietnamese ladies. In other words, Vietnamese hair is made from Vietnamese donor’s. As a result, Vietnamese hair extension has outstanding and different feature to other types of hair, meaning that other countries’s people’s hair. Why do I say that? I will give some well-founded statement from the experts about Vietnamese Virgin hair. Vietnam human hair must be the most popular term to any hair extensions wearers or even hair lovers. People always want to use it to create a beautiful and trendy hair wig because of its fantastic features. This post will help you gain basic knowledge and understand more about Vietnamese hair as well as its features. It is not a difficult question to answer. You may know through its name, Vietnamese hair is the hair collected from women in Vietnam. There is a reason for its popularity and attraction. Vietnamese hair is always known as the material that has the highest quality. Indeed, it is extremely silky, soft, shiny and healthy. To gain these great features, Vietnamese women have to take care of them with love and natural hair care products such as kinds of shampoo and hair conditioner made from coconut or lime. These are products which are actually useful and bring a lot of benefits to human hair. The natural texture of Vietnamese hair is usually straight and sometimes a little wavy. These are hairstyles that almost woman in Vietnam in particularly and all over the world in generally are interested in. 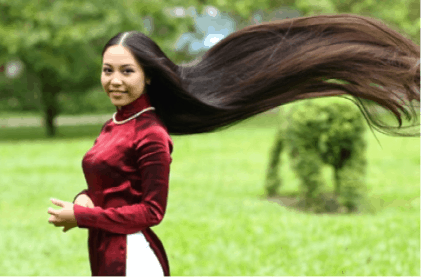 Why do the ladies like Vietnamese hair? As you can see that picture. That is the picture about Vietnam woman and her long straight hair. What a beautiful picture! Vietnamese hair is also one of the most popular hair types. Why do the ladies like Vietnamese hair? ‘Because it is appreciated about smoothness and thickness, especially durability’. You rearly see that any hair types is as durable as this hair type. If you take care of Vietnam hair properly and carefully, you can use it in a year or more than a year. In order to have a such heathy and beautiful hair extension, Vietnamese women have a effective hair care way. They don’t use chemical shampoo or seldom dye and style for their hair. They often shampoo and care for hair by natural products as locust, rice water, some kind of leaves, herb and shaddock skin. Our Vietnamese hair is completely natural hair, not puzzled, not handled by chemical, not styled as straightening, curling, dyeing, etc and especially preserved intactly from root to top of hair. They still keep their advantages. The durability of Vietnam hair is not only shown that its lifespan is a year, but also can stand cold and hot weather. Most of Vietnam hair is thick hair. If you research detail information, you can see, most of Vietnamese hair is the thick hair. There is thin hair but the quantity is small. Thick hair fiber is fairly big, it is so strong, shiny, and heavy. If a person can care for it carefully, the hair will be stronger and very healthy. This can make the quality hair become better and better. 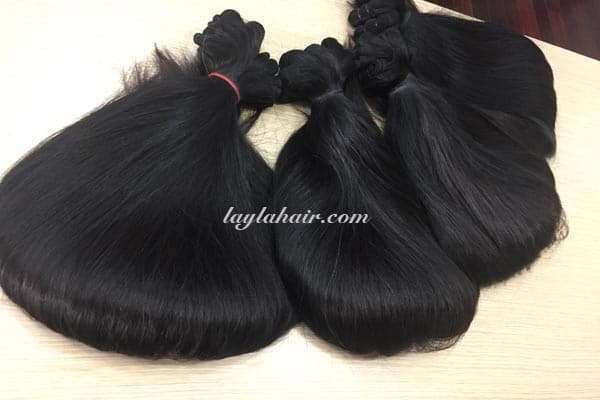 As one of the biggest Vietnam hair supplier in the market, Layla Hair Wholesale Hair Vendor promises to bring you the most beautiful array of Vietnamese Hair, handly picked from healthy donors who have little to none processed their Vietnamese hair before! Raw Virgin Vietnamse hair extensionsis thick, washable and can be colored and lifted like nothing you have ever seen before. 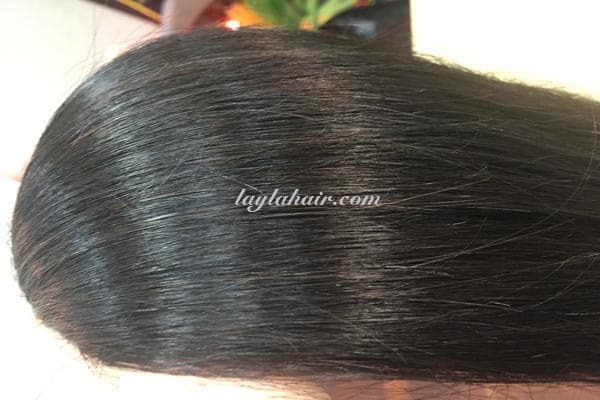 Layla Hair is one of the most professional Vietnamese hair extensions manufacturers which have a high reputation in the world. We have achieved customers’ trusts and loves since the company was established. We use the experiences as well as the passion to improve the products every single day. In Layla Hair, we only use raw Vietnamese human hair to create gorgeous hair extensions. Raw Vietnamese hair means the hair that is totally natural as your own hair. No any chemical processes are used to change hair’s structure, cuticle and protein intact are completely kept. Therefore, it is one hundred percent safe to use, there is no harm, no damage to your real hair. The users don’t need to worry that it will make them feel uncomfortable, painful or any feelings like that. Another positive thing of raw Vietnamese hair is you can comb, dye, style it in any way you want without being damaged. Being unprocessed makes it truly healthy and durable. Even sometimes it is stronger than your real hair because you may style and color the natural hair several times. Vietnamese hair in Layla Hair is 100% remy hair. This is a reason that a lot of customers are being attracted by our products. Remy hair extensions are the most popular human hair extension on the market thank to its quality and beauty. Unlike Non-Remy hair in which both the roots and the tips mixed up so that all the hairs are not running in the same direction, Remy hair is collected from only one donor. It will reduce the possibility of friction between hair strands and also help the hair remain tangle free. All cuticles flow in the same direction from root to the tip. That’s why Vietnamese hair is always difficult to shed or tangle. The wearers can avoid normal troubles like with any other kinds of hair. Although remy hair is available in many markets, a lot of hair extensions vendors use low-quality, old-fashioned or even rushed manufacturing. These manufacturers may make the cuticles get ruined in this process. 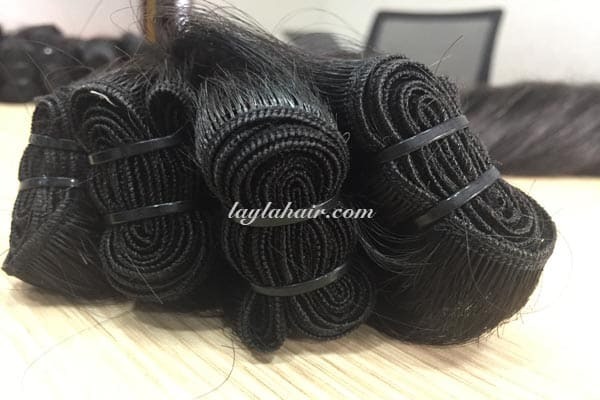 Go with Layla Hair the users can totally put their trust in our products. Layla Hair supplies all kinds of hair extensions made from Vietnamese hair and also Cambodian hair. 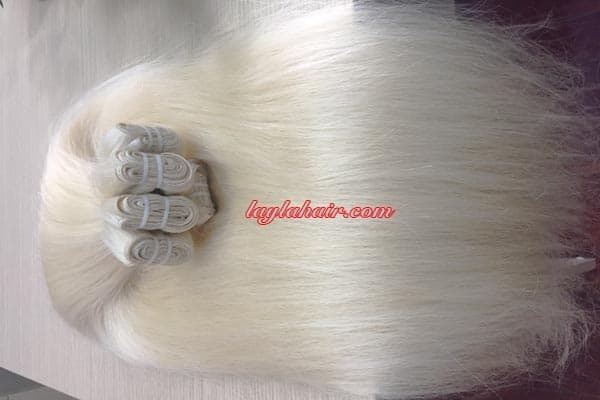 You can find every item you want to have such as lace front wigs, full lace wigs, hair toppers and toupee, bundles of bulk, tape in hair, clip in hair and so many other items. They come in a variety of style like straight hair, body curly hair, deep curly hair, wavy hair,… With these hairstyles, we only use hot steam vapor to make the cuticles opened and shape the hair in forms. That means we don’t apply any harmful chemical processed on our products. The users can use them without worrying that they will create bad influences on your own hair or your health. Moreover, you will have a huge selection of color as we provide products with a lot of colors such as blonde, brown, black, ombre and so on. Each color works for a certain skin tone and brings a different hair appearance. All products made from Vietnamese hair are from 8 inches up to 30 inches in length. The choice is your own ,so try to make it wise. We sure that our hair extensions absolutely make you satisfy and also be more gorgeous. And don’t hesitate to leave your demands or requirements, our excellent workers in factory will try to achieve them. They can dye, style and do every you want. Comparison between Vietnamese hair and Cambodian hair. Sometimes we receive several questions like: Cambodian vs Vietnamese hair, which one is better? In fact, we receive a question like that because Layla Hair Factory is a wholesaler which supplies both kinds of them. We must say that it is such a difficult question as these two types of are good. Vietnamese hair and Cambodian hair are the two kinds of hair which are well-known because of their quality as well as appearance. They must be a great choice if you are looking for a kind of virgin, natural and no processed hair. They come in a variety of textures can can be naturally silky or heavily textured. Although both of them are actually excellent, they have their own features and differences compared with the other one. The first difference that everybody may know easily is the origin. Of course, Vietnam hair is collected from women in Vietnam while Cambodian hair is collected from Cambodia. The women in these two countries have different lifestyle so their hairs are a little different. You can find that Vietnamese hair is usually straight, in contrast, all Cambodian is wavy or curly. Another thing is Vietnamese hair has a silky texture which works for those who have naturally smooth textured hair while Cambodian hair has heavily textured hair which works for ethic women and women with heavily textured hair. People always say that Cambodian hair has much more coarse and thick hair while Vietnamese hair has much more silky hair. However it doesn’t mean that Vietnamese hair is not coarse and thick. You will have a chance to experience the high level of thickness with our products. Customers often send their feedbacks saying that they are actually satisfied as the thickness almost remaining from the top to the bottom. Especially with the bundles of double drawn hair, we use from 70% up to 80% full length hairs. Almost short hair strands are removed and long hair strands are added. Instead of using any mechanical processes, we only do all the steps of this process by hand. Thus, customers do not need to worry about Vietnam hair’s thickness. Thus, you are looking for softer and thinner hair, Vietnamese hair will be better. And if you are looking for coarser and thicker hair, Cambodian hair will be better. You can consider and choose the best option because your choice must depend on your hair type and the style you want. The way to take care of Vietnamese hair? Although Vietnamese hair is great and has numerous favorable characteristics, we still need to take care of them so that we will able to use it for a longer period of time. However caring Vietnam hair is not difficult at all. You can treat it like your own hair, that means you can comb, color or style it if you want. You should use high quality shampoo as well as hair conditioner to wash the hair. By doing that, the hair will be moisture and its life expectancy will be expanded. If you do in that way, Vietnamese hair will be really beautiful, shiny and healthy. In summary, Vietnamese hair has a lot of wonderful features that are actually useful to hair extensions users. You should have a Vietnamese hair extension at least one time in your life. It will absolutely change your appearance and make you more confident. We sure that after reading our post, you have already gained basic knowledge of it and also its characteristics. Please go to visit Laylahair.com to have more information about other products and get your own best hair extensions.